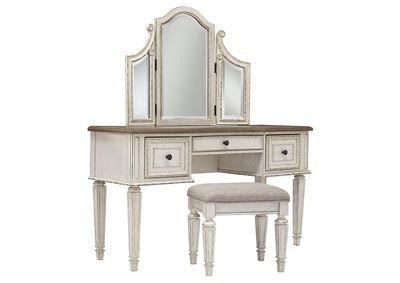 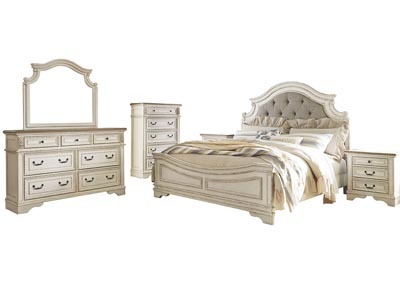 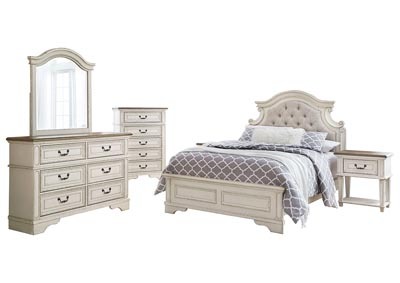 Elevating the art of traditional cottage styling, the Realyn dresser and mirror set is your dream bedroom retreat realized. 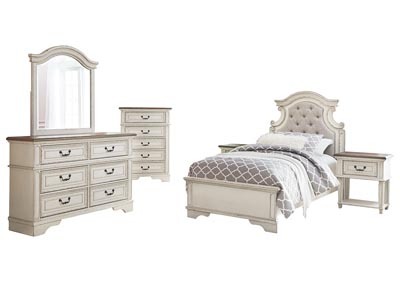 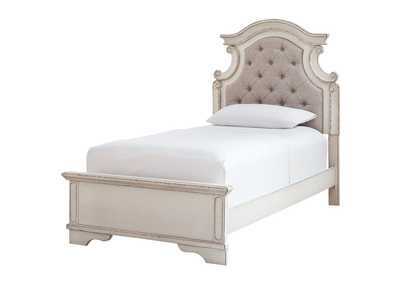 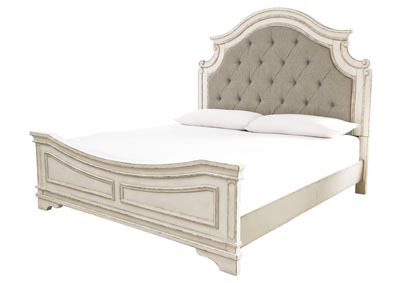 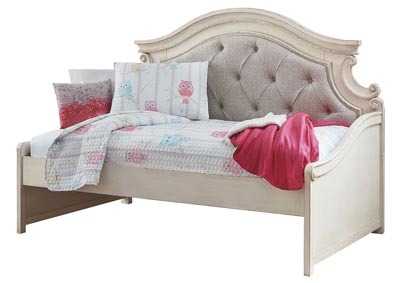 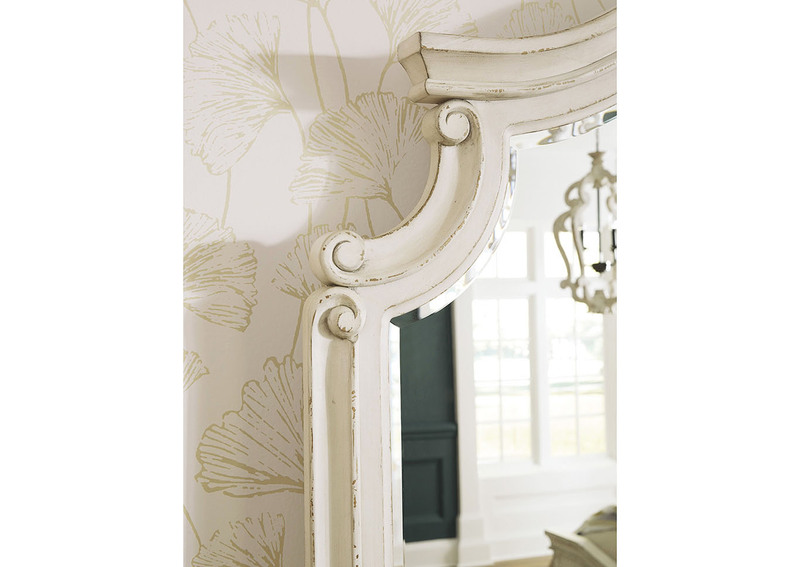 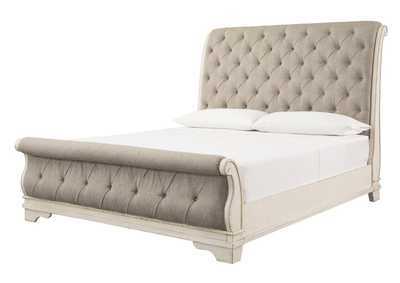 This brilliantly crafted bedroom ensemble wows with dramatic scalloped details on the mirror that mirror the headboard’s elegant sculpting. 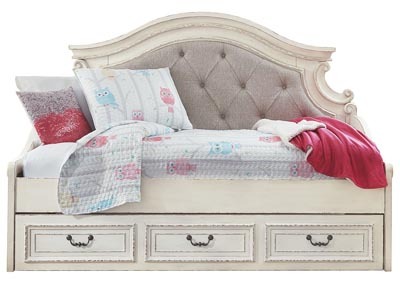 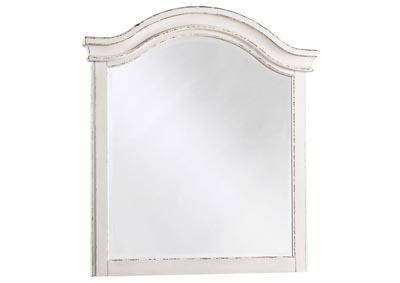 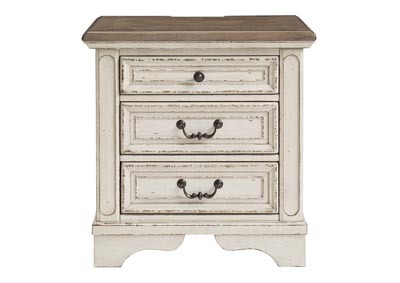 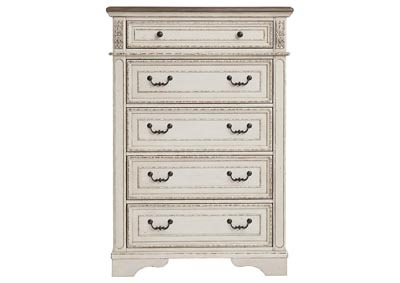 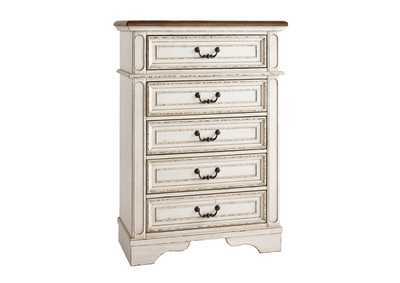 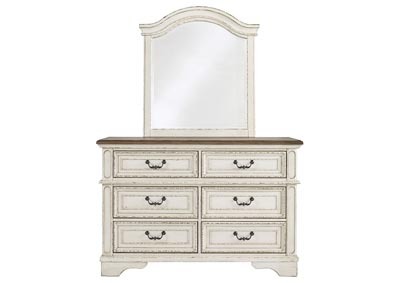 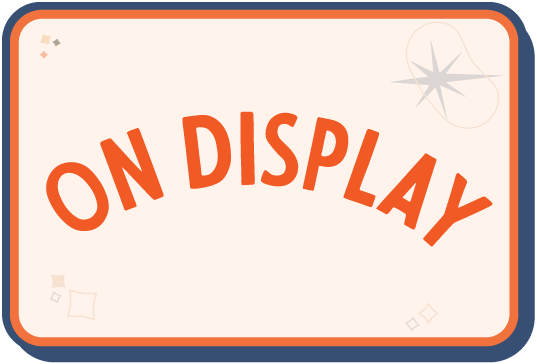 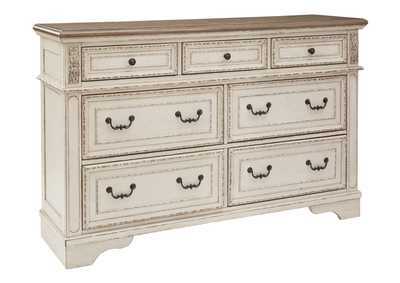 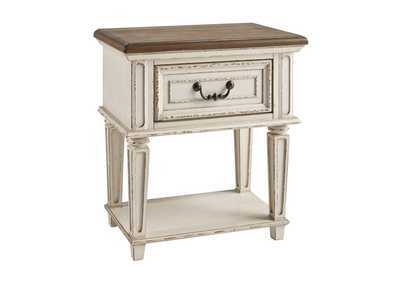 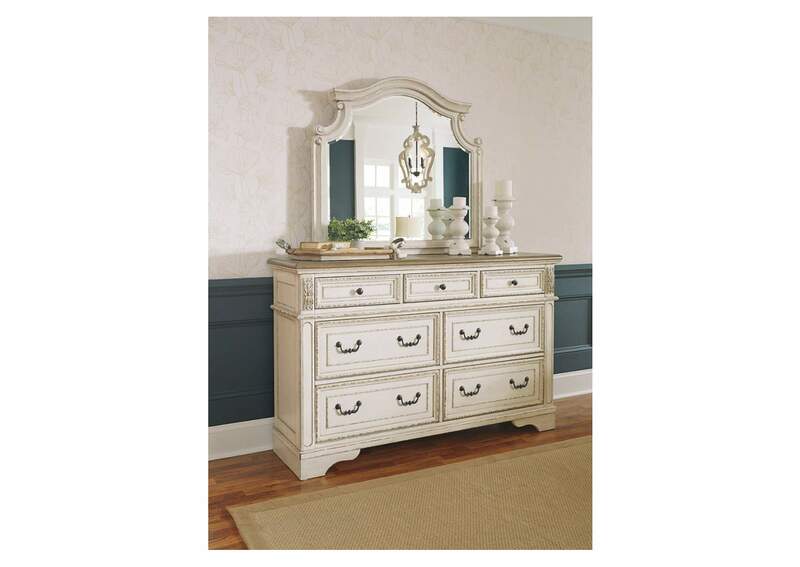 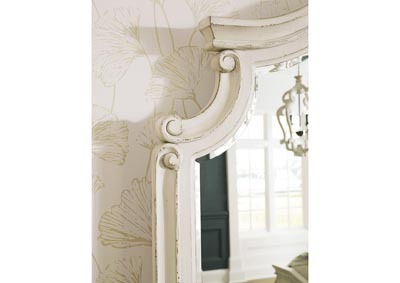 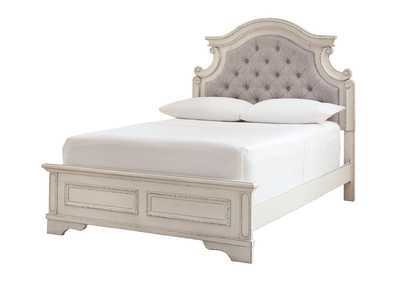 The dresser’s two-tone finish blends a heavily distressed “chippy white” with a natural wood-tone top for added charm. 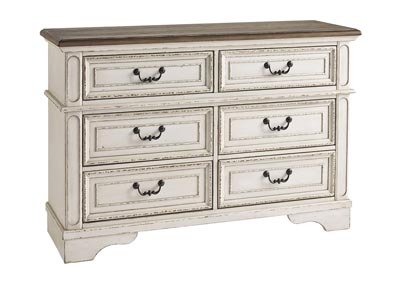 Adorned with classic bail pulls, seven smooth-gliding drawers are crafted with quality dovetail construction for years of satisfaction.